The life and times of John Gotti, head of the infamous Gambino maffia family. 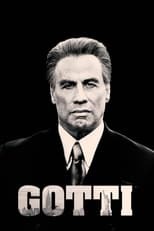 Gotti is directed by Kevin Connolly and was released on Jun 15th, 2018. Director Kevin Connolly's Crime & Drama movie Gotti is produced by Emmett Furla Oasis Films & Highland Film Group (HFG) & was released 2018-06-14.